Interest in vaping and e-cigs has grown exponentially in recent years. Electronic cigarette manufacturers, including ePuffer, are turning up at Red Carpet events in Hollywood. While we're not winning Oscar Awards, we are winning endorsements from stars like Sophie Monk, Jeff Daniels, John Sally and many other Hollywood talents! The Art of Eliquid Flavor and Technology. EPUFFER eliquid flavors are created by finest chemists and flavorists in the field using the purest and most unique raw materials to bring you delicious and innovative flavors. EPUFFER has been creating eliquid flavors for almost a decade, longer than any other company in America with quality you can trust. All Flavors proudly crafted using Gluten-Free, Vegan, Kosher, Alcohol-Free, and non-Allergenic raw material. E liquid or vape liquid provides both the nicotine and the flavor in all personal vaporizers, excluding dry herb vaporizers. All eliquid contains four basic components: a base of propylene glycol (PG) or vegetable glycerin (VG) or a combination of both, liquid nicotine or a filler in zero nic products, water, and flavoring. Both are non-toxic liquid bases that are used in eliquid. Propylene glycol, or PG, is the more popular option for a number of reasons, not the least of which are that it's less expensive to use and it doesn't affect the flavor of your vape liquid. Additionally, since it possesses bactericidal and virucidal properties–which is to say that it kills bacteria and viruses and inhibits their growth in the first place–it's the safest option for vapers who have compromised respiratory systems or are prone to respiratory infections. Its two drawbacks are that it is potentially allergenic–a small number of users have an allergic reaction to PG–and it can cause the mouth and throat to dry out in around 10% of users. One benefit with PG that will interest some vapers is its low vapor output which is ideal if you stealth vape in public. Vegetable glycerin is a sweeter and slightly thicker liquid. It does affect the flavor of your eliquid, which should be considered when selecting the PG/VG ratio. It can also cause a buildup of residue on the heating element requiring more frequent cleaning. Opposite to drying out the throat and mouth, as PG does, it can increase the production of phlegm. The higher the concentration of VG in your liquid, the more vapor you'll see; if you're into smoke (vapor) tricks, you'll want more VG. 30/70 (PG/VG): Very good vapor output, and a minimal throat hit. Not all ratios are available in all flavors. With some e-liquid blends, you can select a ratio preference, but most are made with pre-determined ratios. When you do get to choose, there's no right or wrong blend–it's simply a matter of what you're looking for. One of the best things about electronic cigarettes and vaporizers is that you're in control of how much, if any, nicotine is in your product. As a former smoker who missed smoking greatly, I'm thrilled to have the option to partake in the best part of smoking, without the fear of becoming re-addicted. Another reason having this control is significant is that, if you are a smoker looking to get away from both tobacco and nicotine, you can wean yourself so gradually that you'll hardly notice. The range of nicotine levels is tremendous so even the heaviest smoker is able to start vaping at the level they were smoking cigarettes. Liquid nicotine is measured in term of milligrams per milliliter (mg/mL) and also in a percentage of nicotine; sometimes the percentage is labeled as mg as well. There's no standard requirement for how vape liquid are labeled so you'll want to familiarize yourself with all expressions. There are three levels that are the most commonly available. No nicotine is always represented as 0. The next of these is 12 mg/mL, often presented as 1.2% or 0.6mg using true nicotine formula. The final is 24 mg/ml, also written as 2.4% or 1.2 mg using true nicotine formula. You'll notice that here at Epuffer, we use the third notation. Other levels that may be available include 3 mg/mL, approximately equivalent to an ultra-light cigarette, and runs up to more than 36 mg/ml which has jokingly been expressed as ripping the filter off of the strongest cigarette available. Wise consumers want to know where all their products come from. With all of the manufacturing problems we've seen reported in Chinese-made products, it's understandable to be wary of e-cig liquid manufactured there. It's also reasonable that you might assume that e liquid made in the US are of superior quality and safety because of all of the industrial regulations we have. This is a dangerous assumption to make. While it is true that many products coming out of China have been dangerous–some manufacturers are notorious for using varieties of PG and nicotine that are not graded for consumption–there are reputable Chinese manufacturers of eliquid who take consumer safety very seriously. As for the superiority of American products, there is little to no regulation or governmental oversight in the manufacturing of any vaping supplies. Adding to the confusion, while manufacturers label the country of production, they don't need to tell you the origin of the source materials. Your 'Made in the USA!' eliquid may well have been produced in Hackensack NJ–and composed entirely of Chinese products. If you're unfamiliar with a brand–especially common when you first start vaping–verify whether the product carries an ISO certification. ISO is the International Organization for Standardization, an independent non-governmental organization who create international standards in a number of areas–including manufacturing. To carry an ISO certification, manufacturers must remain compliant with the organization's proscribed standards. While the US government has yet to provide standards of manufacturing e liquid, ISO has picked up the ball and have set the standards. We'll actually kill two birds with one stone here and discuss finding the best e-liquid in general, and which e-liquid are best for beginners. Because 'best' is a highly individual ideal, this will depend entirely on your needs, wants, and preferences. Which means you'll have to do some research. But we can help you get started. As mentioned above, eliquid has four main ingredients. To recap, those are PG and/or VG, nicotine or a non-nicotine substitute, water, and flavor. If you're not a nicotine user, rejoice–every single variety of e-liquid is available in a nicotine-free variety and there are even e-stores that cater specifically to you. If you do require nicotine, you need to figure out what level you need in your liquid. Tobacco cigarettes aren't labeled in the same manner as vape liquid, so this will require some research. The 'average' cigarette has between 4 mg and 14 mg of nicotine. With some time spent searching the internet, you may be able to find out the levels in your typical brand. If not, you may need to estimate and go by trial and error. There are guidelines available to help reduce the 'error' part. First, always opt for the lowest level you're considering. The higher the dose, the greater your chance of developing nicotine toxicity. Next, how much you smoke will affect the dose you need just as much as what you smoke; the more cigarettes you smoke in a day, the higher a level of nicotine you're likely to need. The strength (ultra-light, light, full flavor) of your cigarettes makes up the final consideration. A very simplified guide follows: 3 mg/mL (0.3 mg), which is somewhat difficult to find in ecigs, is the lowest commercially available and is best approximated as an ultra-light cigarette or a very infrequent smoker. 6 mg/ml (0.6 mg) is the lower of nicotine levels most commonly available in e-cigs. It's still quite low, nearest to a light cigarette. 12 mg/mL (1.2 mg) is closer to a regular cigarette, but on the low end of things–think of a mild full-flavor. The next levels are less common, so if you require these, there will be more searching in your future. 18 mg/mL (1.8 mg) is pretty middle of the road. You're looking at a relatively average cigarette–not too strong nor too mellow. 24 mg/mL (2.4 mg) is getting up there. Heavier smokers, and those who prefer noticeably strong cigarettes likely want to start here. 36 mg/mL (3.6 mg) is often the highest level e-liquid sellers will offer. If you are a very heavily addicted smoker–think 2 1/2 packs per day–or you prefer unfiltered you might try this. One manufacturer offers 54 mg/mL (5.4 mg). Unless you literally have a cigarette in your mouth from waking up to going to sleep, you'll probably want to avoid this level. We're not done yet! It gets more fun though. Start thinking about flavors. If it's something you can imagine eating or drinking, there's probably either a flavor or recipe for it. And yes, there is a bacon flavor. Flavors have their own section in this guide–up next, in fact, so this will be very brief and mainly in relation to the final option: PG/VG ratio. Some flavors, like traditional tobaccos, you'll want a higher amount of PG, so you don't get an incongruous sweetness. However you can use PG with sweet flavors of vape liquid, and higher VG levels will enhance the sweetness. There are literally thousands of flavor options; probably tens of thousands. 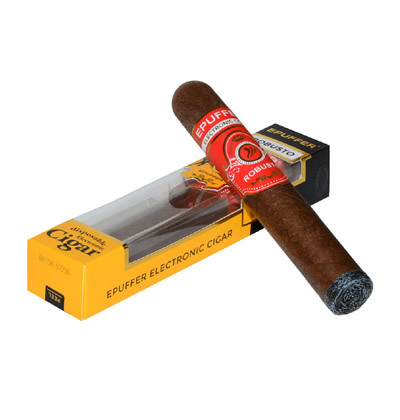 In very basic categories, there are traditional tobacco flavors, menthol, if you're so inclined, and specialty flavors which can be broken down into well over a dozen other categories including beverages, alcoholic beverages, desserts, and fruits. Between hundreds (if not thousands) of ready-made base flavors, sites or stores that allow you to order custom mixed flavors, and recipes online that give you a guideline for mixing flavors to create, for example, caramel apple pie, the possibilities are truly endless–this is my favorite part of vaping. I love to experiment with flavors to suit my mood or the occasion. Try a coffee flavored vape in the morning, especially if you're running too late to get your daily java on the way to work or school. Want a daiquiri with lunch, but you can't indulge for fear of losing your job? There's a vape for that–several actually. Counting calories, or on a medically restricted diet? There are hundreds of dessert flavors that can create thousands of truly guilt-free treats–that caramel apple pie recipe really is out there! Shisha is a tobacco mixture traditionally smoked with a hookah. It's very syrupy, containing both molasses and vegetable glycerin. 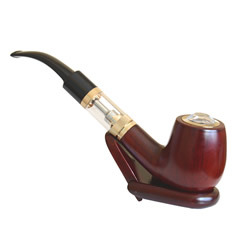 This has been replicated into e-shisha for use in personal vaporizers. The majority of flavors are fruit based: guava, apple, and grape, for example. More unusual flavors have emerged, including gummi bears and some flavored like popular energy drinks. We have a nice variety of shisha vape liquid at Epuffer–including Raspberry Chocolate Mint Mojito which is absolutely on my list of flavors to try! Naturally you can also mix the flavors together to create distinct tastes, as with standard flavors. No matter what your choice of ingredients and flavors is, you'll have to decide what size bottle to buy. The most common sizes to choose from are 10 mL and 30 mL. You may run across 5 mL when you obtain free or heavily discounted samples and many sites do offer much larger volumes for sale but 10 and 30 are the basics. As with everything else, which to choose depends on your needs and wants. The 10 mL bottle has a higher cost per mL but a lower upfront cost. The 30 mL (and larger) has a lower cost per unit, but there's a higher initial cost and a lot more liquid to use. If you think you'll be an infrequent vaper, you're trying a new flavor or brand that you're not certain you'll like, your current cash supply is a bit thin, or you plan to buy a lot of flavors to mix and match, the 10 mL is likely the better choice. Vapor liquid do expire, so you may not want to go big unless you're sure you'll use it. If you can afford a higher outlay of cash, you know you'll like the flavor, and you'll be able to use it all, or enough of it that it won't be a waste of money, definitely go for the largest bottle you can get and use. Now that you've made it this far, we can talk about buying your eliquid. As with available flavors, your possibilities are nearly endless. Vape shops, naturally, carry all sorts of vaping supplies; many offer the option to buy custom flavors, if you're not ready to start mixing them yourself. Being the golden age of the Internet, there are hundreds of sites dedicated to vape supplies. Many deal exclusively in vaporizer liquid. I would be remiss if I didn't remind you that we have an excellent, high quality selection of traditional e-liquid and e-shisha here at Epuffer. You can also find subscription variety services, similar to the 'wine of the month' clubs, but with vape liquid. At the risk of sounding repetitive, that depends There are sites that sell 10 mL bottles for as low as $2.99, which is definitely a cheap price. But is it a bargain? Just remember that the saying 'You get what you pay for' has hung around for so long because there's more than a little truth to it. When someone is selling something at that low of a price, something has been sacrificed–often the quality. With no formal regulations regarding manufacturing, people can and do use dangerously bad chemicals and mix the vape liquid in unsanitary conditions. Ingredients cost money, as does a proper laboratory in which to mix them, by people who need to be paid. Considering all that, and weighting it with the fact that this is a product you're going to be inhaling into very delicate body tissue–does $2.99 still sound like a good idea? Go cheap with your breakfast cereal, but protect your lungs. However you don't need to take out a mortgage, by any means. There are reasonably priced, safe options out there. Disposable e-cigs are available at an affordable cost. 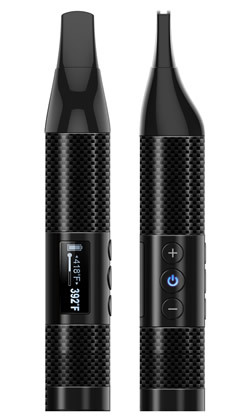 They're less customizable, but an excellent way to begin vaping to see if it's something you'll enjoy. 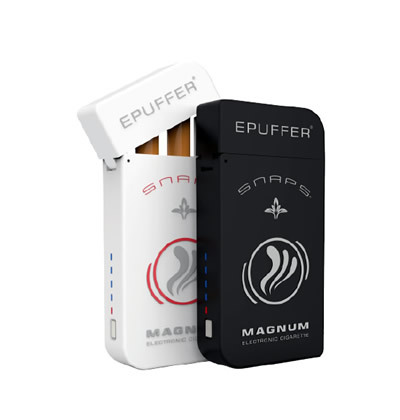 Epuffer's Eco disposable ecigs are competitively priced at under $10, and come in a variety of pre-mixed flavors. All orders of $50 or more shipping to the US and Canada are shipped free, via USPS First Class mail. Why are you still reading? Go shopping and get in on the fun of vaping!